Rinse and pat dry the broccoli. Heat the extra virgin coconut oil in a large skillet over medium heat, add the crushed red pepper and heat 1 minute. 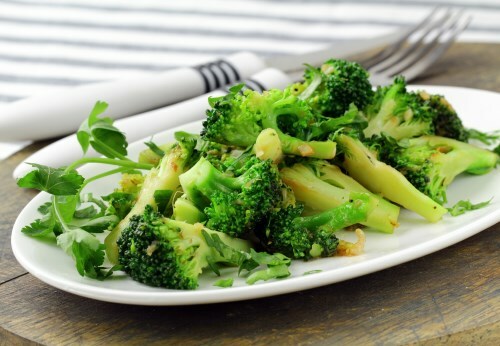 Cook and stir the broccoli in the skillet until it begins to get crispy, 5 to 7 minutes. Season with salt to serve.